Scale is a key issue for NFM. 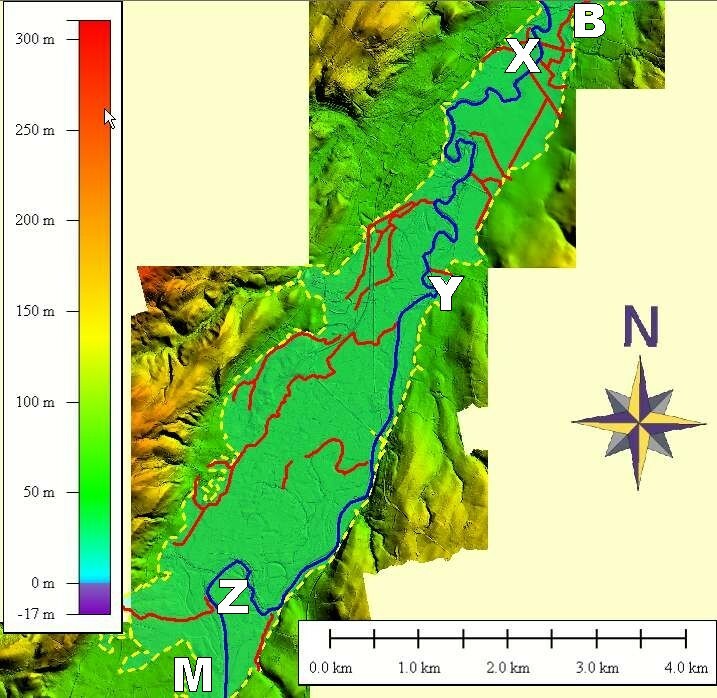 Current catchment research projects in various regions may shed light as NFM techniques increase and diversify. Landuse is a key issue. ‘Human’ landowner uncertainty can overshadow technical ‘physical’ uncertainty. 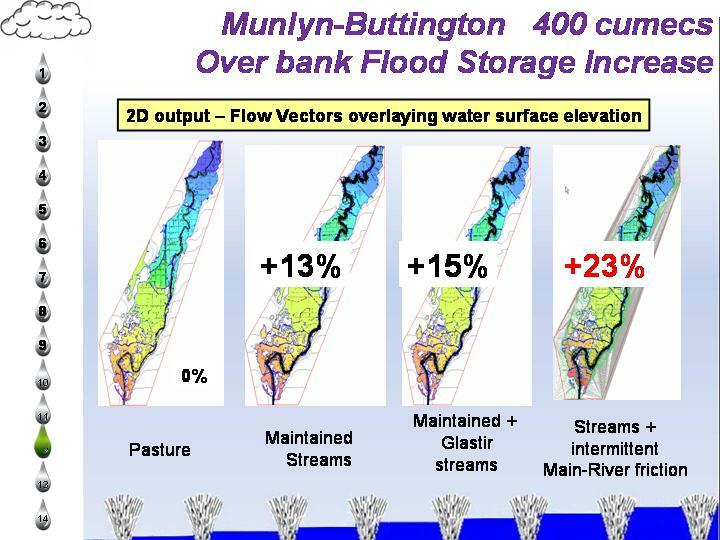 Gravity brings land-drainage benefit but demands also best (CAP) practice from upstream landusers. WFD restrains traditional riparian rights. Dirty angry water does not convey any ‘Good’. 30-40RP events are indeed the problem. 1.5% risk is insurable. 5-10% risk is unlikely to be associated with blight. In spite of reservations of some contributors, there is evidence that ‘Hydrodynamic’ NFM does respond to extreme events. 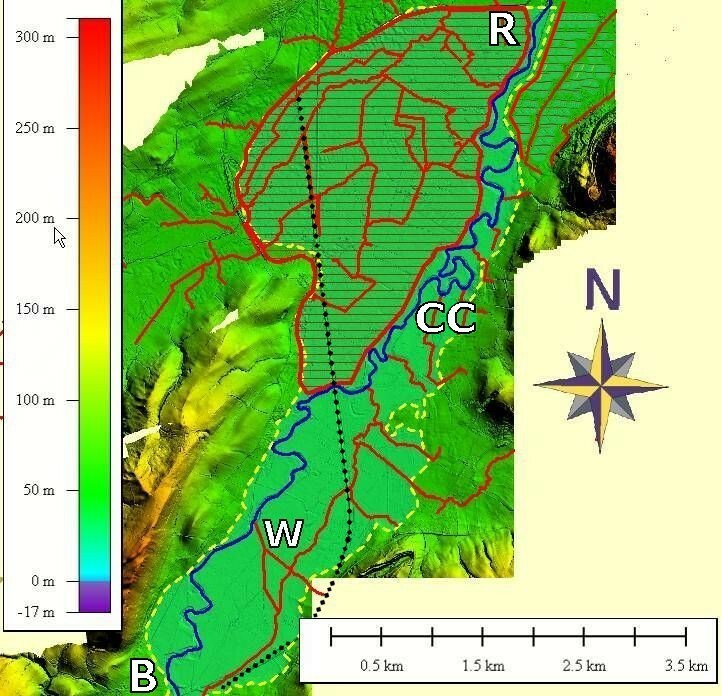 Core-data/calibration for the Upper Severn 2D hydraulic model was the 1998 (c. 15RP) event. + 23% green-storage is worth having. By way of example in Upper Severn, if Buttington-Munlyn were to be rolled out, downstream Pool Quay (‘R’) assets would again be insurable. ‘Hydrologic’ NFM is arguably more diffuse than ‘Hydrodynamic’ NFM . . . more closely aligned perhaps to water-the-asset, groundwater flow and WFD ‘good’. Lateral impact is becoming an ever more significant issue for ‘Point-Source-Attenuation’ (ie hard structures such as dams & levees). On the other hand Diffuse Water Attenuation from Agriculture (let’s call it DWAA – albeit initially a poor-relation of the more celebrated DWPA) is capable of delivering ‘goods’ without lateral grief. ‘Geomorphological’ NFM does deliver (click here) . . . It has done so for decades/centuries. Engineered NFM will deliver more productively. NFM is only able to deliver low-impact because of its diffuse ‘credentials’. This is where scale enters the equation. For catchment-scale NFM to be effective, ‘multiple’ is perhaps the key keyword – multiple locations each delivering multiple benefits (and thereby also political approval !!). Small steps; virtuously ubiquitous. The only other show in town would appear to be private ‘Resilience’; favoured indeed by government for its low public cost, but would our Victorian forebears have had much pride in exhorting ‘Resilience’ other than as a back-stop pending delivery of communal resource? Not least because Resilience is vulnerable to commercial interest groups. Indeed interesting territory . . . . particularly, perhaps, for engineers in the networking age . . . . accumulating iterative effect from diffuse locations could be just the ticket for networked (student even) ‘diffuse’ research groups . . . (that said, there will need to be ‘top-down’ input in respect of standardized data and broad adoption of OSS utilities such as Python, Quantum and Anuga to broaden the ‘ownership’ of effective solutions).